Owning a recreational vehicle (RV for short) makes RV camping year round a breeze (pun intended). When the weather turns cold and a chill hits the air, many people go RV camping instead of huddling by their home hearth. 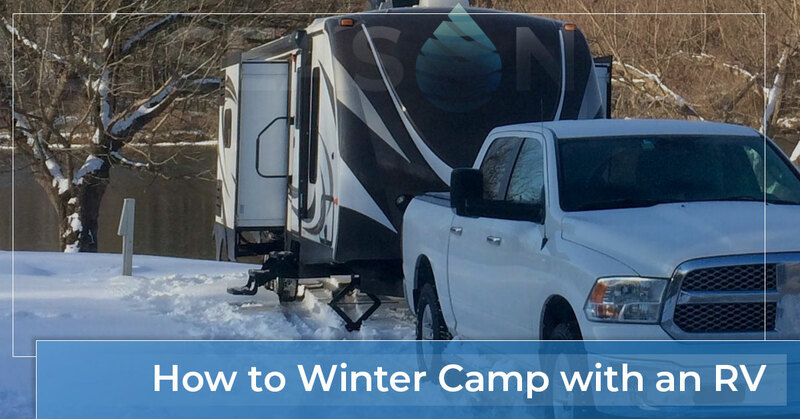 There are many reasons and benefits to winter RV camping. All Season RV & Trailer Service in Fort Wayne, IN, specializes in helping RV owners as well as RV camper trailer owners prepare for the winter weather. Here are our favorite tips to winter camping. Preparation is key. Have your RV gone through by a mechanic if it’s been a while. Have him or her check the engine and fill all the fluids, especially windshield fluids, anti-freeze, and transmissions fluids. Check all your appliances for functionality and don’t forget to pack extra blankets, gloves, hats, and coats. Water is key. We all know water freezes in the winter, especially when it’s close to the surface, which the water tanks can be in most RVs and travel trailers. Before your trip, empty your black and gray water tanks, and add about a quart of special pink RV antifreeze (not the green kind used in cars) to each to protect from freezing. Another key point is to insulate the pipes draining into the tanks with foam pipe insulation. Adding an extra electric pipe heater is a good idea as well. Bring tire chains. Weather in the winter is unpredictable and if you’re on a mountain pass and a snowstorm blows in, you’ll want to be prepared. Pack tire chains especially for your size RV tires to tackle those winter driving conditions. Check your furnace. Now that you’re prepared for the winter drive, you need to make sure you’ll be warm. Test the furnace before you leave by turning in on. Make sure the furnace is clean and free of dust, debris, and insects. If your RV only has a heating pump, you may want to consider an additional heat source since these heating systems don’t hold up well in temperatures below 40 degrees Fahrenheit. An electric space heater is a viable option just never leave one unattended as it’s a fire hazard in the making, and you’ll have to crack a window for ventilation. Propane. Propane is another must-have for winter camping. If it’s really cold outside, your RV will burn through the average sized propane tank in only a couple of days. Bring extra tanks with you, and make sure you know where the propane filling stations are in your travel area. All Season RV & Trailer Service in Fort Wayne understands the benefits of traveling in the winter. The campgrounds are empty as are the roads, and likely your tourist destinations are equally as desolate. If you love to travel without the crowds, winter RV camping is ideal. All Season RV & Trailer Service offers travel packages to help you get prepared for your RV trip. We’ll test everything for you as well as repair if possible. We also offer RV upgrades, so if you’re itching to enjoy the winter outdoors, perhaps a fire pit is in your future. Contact us today for all of your RV and RV camper trailer needs!